Business Intelligence (BI) is becoming an absolute must-have in order to compete with over 55% of large companies investing in TWO or more BI tools. To further this point, 89% percent of business leaders think Big Data will have an impact on business operations much like the internet has. 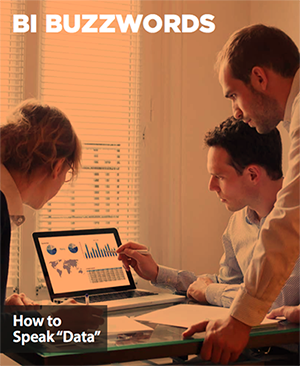 Don't get left behind and before making any BI purchase, download and read our guide on BI Buzzwords.